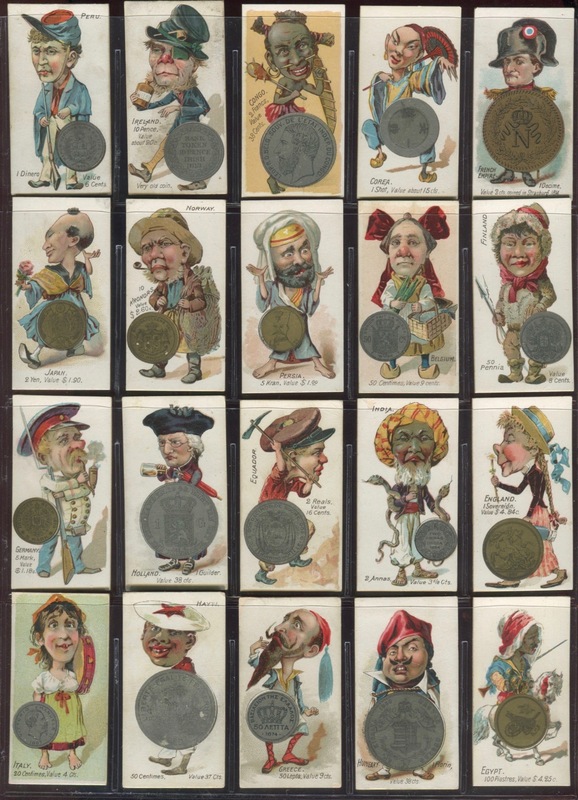 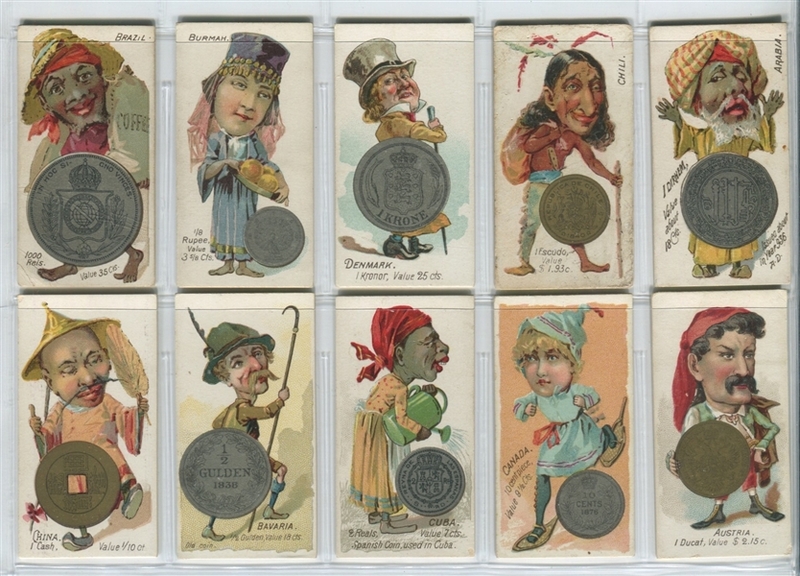 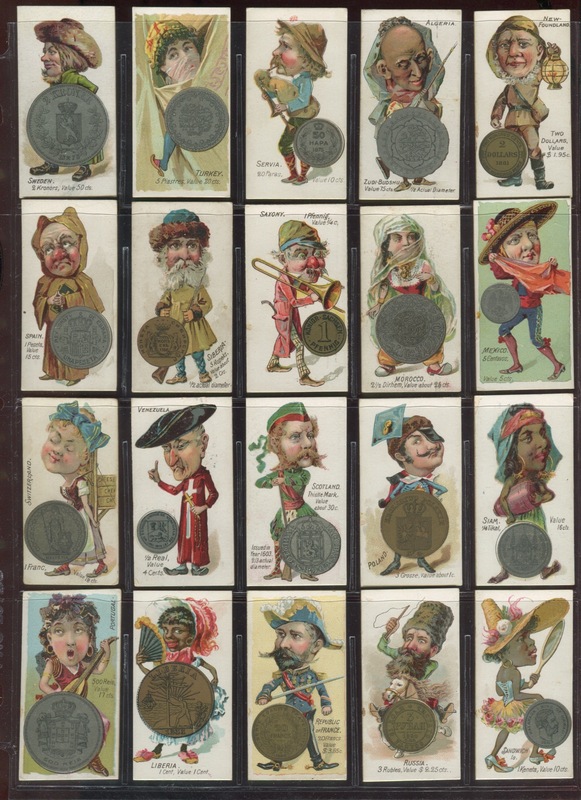 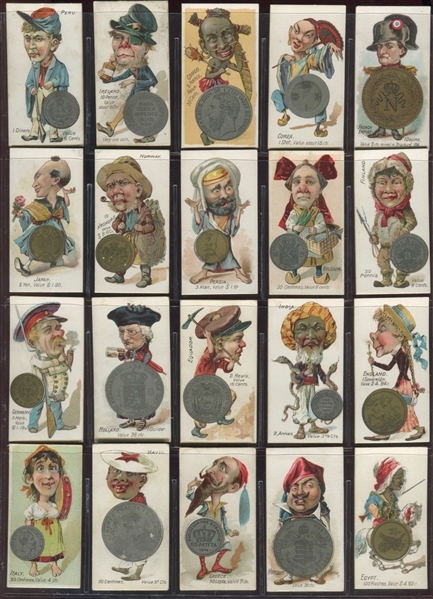 The Duke Tobacco Coins set is a 50 card set picturing a native and a sample coin from a given country. 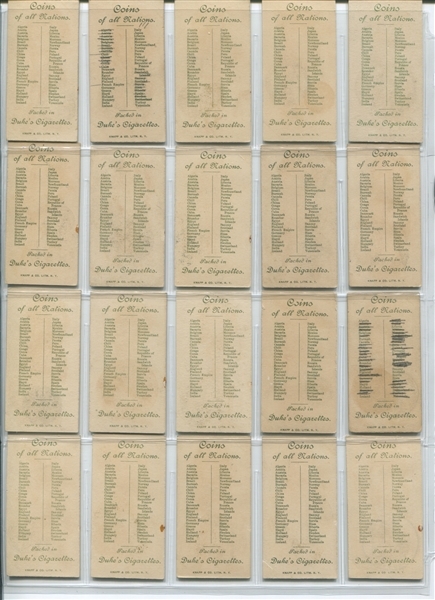 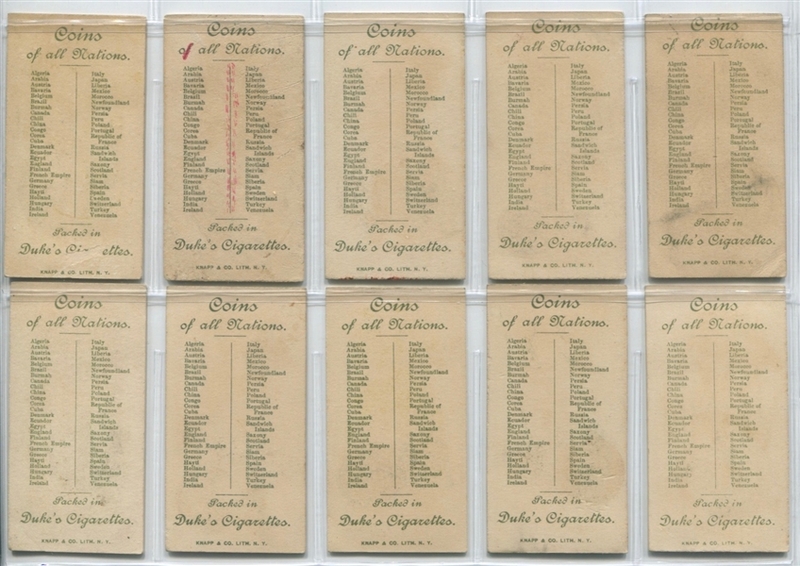 The backs have a set checklist and the fronts of the card can be found with either a white background or a muted colored background for the variation collectors. The condition breakdown of this set is as follows: VGEX or better (40 cards), VG (4 cards), GVG (2 cards) and G or worse (4 cards). Nice, even condition set that displays well. 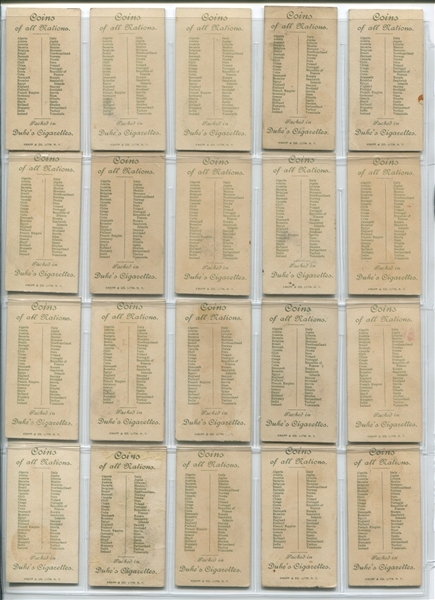 Three cards have some amount of writing on the backs.